This is a world of cause and effect; one cannot do an action without causing a ripple which affects something else. Currently, the world is desperately seeking alternative energy sources to help keep this planet living and liveable. 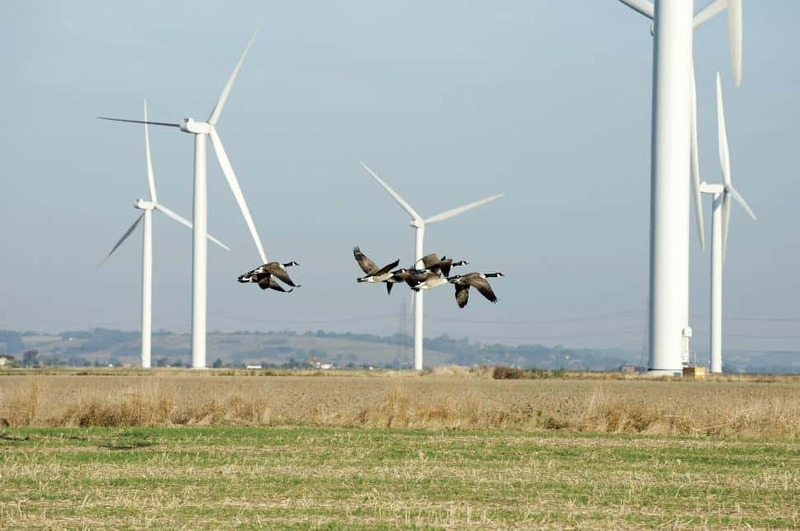 However, while these alternative energy sources, wind turbines in particular, are good for the planet they have proven a bit detrimental for birds. Research is currently being carried out by Stirling and Newcastle Universities that examines the long term effects of wind farm development on birds, their habitat management and methods and techniques used in monitoring and surveying birds. Wind turbines are cause for minimal bird deaths but those "minimal numbers" are usually anywhere from 10,000 to 40,000 a year in the UK alone. Now the Scottish government, in collaboration with industry and charity groups such as The Scottish Windfarm Bird Steering Group, RSPB Scotland, Scottish Natural Heritage, and Scottish Renewables are working on an innovative guide for wind farm building and maintenance to help protect bird populations. These groups have shelled out more than £50,000 in studies to show the effect of wind farms on birds and how that can be prevented. The group and other officials are meeting with Scottish government in a summit at Perth for the formal development of the 'Good Practice Guide' on how bird populations and habitats can be for effectively managed. The Scottish government has already earmarked funds to conduct future studies that will help develop the guide. Environment Minister Paul Wheelhouse stated, "This is an important step forward, demonstrating that the renewables industry and conservation groups are working together to help the conservation of bird populations across Scotland." Wheelhouse as well as other government and industrial officials are all aware of the need to protect not just the environment, but the creatures within it. Many see this new guide as an important tool to continue the raising of wind farms while still protecting the countries native aerial wildlife.